Meaningful employment and personal satisfaction is a vital aspect of adult daily life. 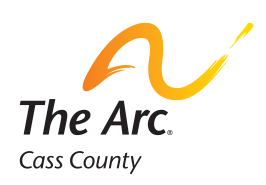 With that in mind, The Arc of Cass County would like to support individuals with intellectual and developmental disabilities in expanding their learning and training beyond high school. Scholarships are available to students with intellectual and/or developmental disabilities in Cass and Clay counties who wish to advance their careers. These scholarships can be used for tuition, adaptive equipment, books, or supplies at a higher learning institution of their choice. The amount and size of awards given each year will be based on individual merit, financial need and funds available. The 2018 Higher Learning Scholarship Application Deadline is March 29, 2019.